A facial is a multi-step way to take 360-degree care of your skin. How? That’s what I am going to address in this article. Read on. Even if you do not have blemishes, hyperpigmentation, severe acne, or any other problems, your face needs to be pampered by a trained professional to keep it healthy and free of skin issues. Moreover, it is the best way to find out if your skin needs anything or how it is reacting to hormones, pollution, stress, and other elements. I know that you have your DIY tips to take care of your skin at home, but a professional can help you truly understand your skin. And, not to mention, that amazing facial massage not only makes your skin glow but also destresses you and helps you relax. Not convinced yet? Here are 16 reasons you should get a facial done today. I am not claiming this. According to a study published in the journal Biomedical Research, facial massage activates your sympathetic nervous system. This reduces your anxiety levels and uplifts your mood (1). An excellent facial will cleanse your face thoroughly, which is not possible at home. Think of it this way – you have all the medicines at home, but you still need to go for annual visits to your doctor. The facialist understands your skin type and knows what needs to be done to keep it in good shape. He/she uses steam to open up the pores and cleanse your skin thoroughly. 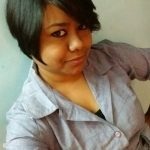 Admit it – you are not getting younger with each passing day. And because you have only one face, you need to take care of it properly. Regular facials and face massages boost cell regeneration and promote collagen development. This gives you younger looking skin. A study says that massage improves the blood circulation in your body. The same applies to your face. Improved blood circulation in your face means that your cells get lots of oxygen and nutrients that are carried along with the blood. This translates to healthier and efficient cells and a glowing face. With age, your skin loses its luster. That’s natural. Your lifestyle and pollution make it difficult for your skin to recuperate. Facials can help rejuvenate the skin. The therapist or the facial expert uses various methods, products, and technology that help improve your skin texture. Your skin needs to get rid of the waste that accumulates on it on a regular basis. And if this is not done correctly, it results in breakouts. That’s why a skin detox is necessary. 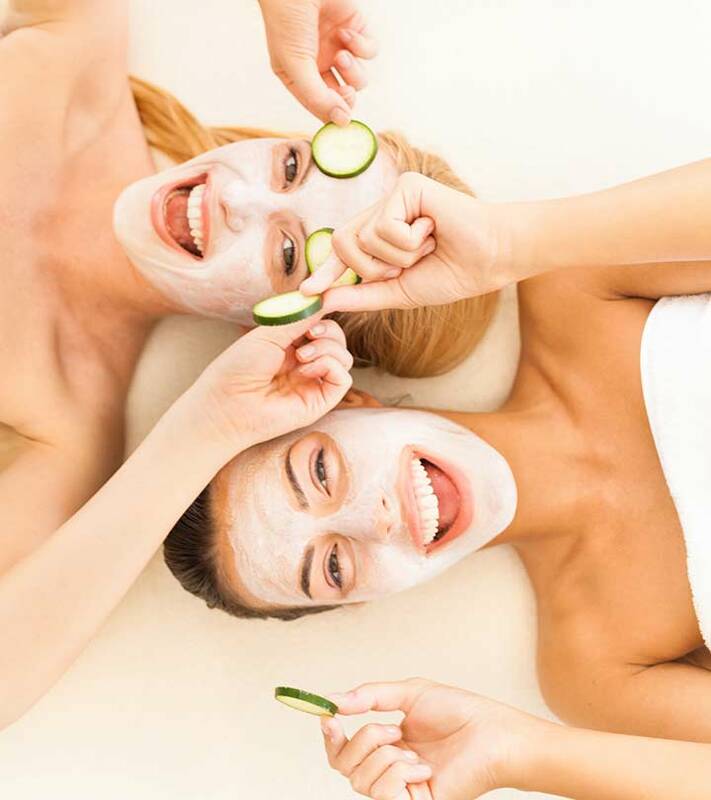 Apart from cleansing and washing your face every day, you need facials to detoxify it. Therapists use ingredients, such as antioxidant-rich creams, sea salt, herbal extracts, and oils, to make your face fresh and radiant. When you squeeze a pimple (or acne), you run the risk of scarring. 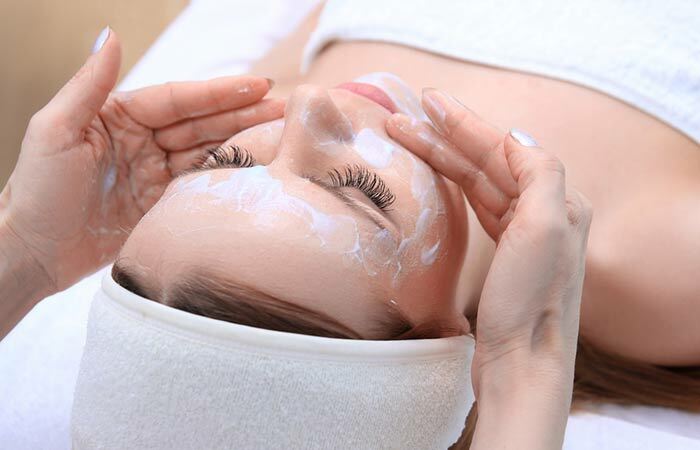 Acne marks can be stubborn, but facials can help you in treating them. Estheticians often use products containing salicylic acid to treat acne. A study shows that salicylic acid peels help reduce acne and the resulting scars (2). 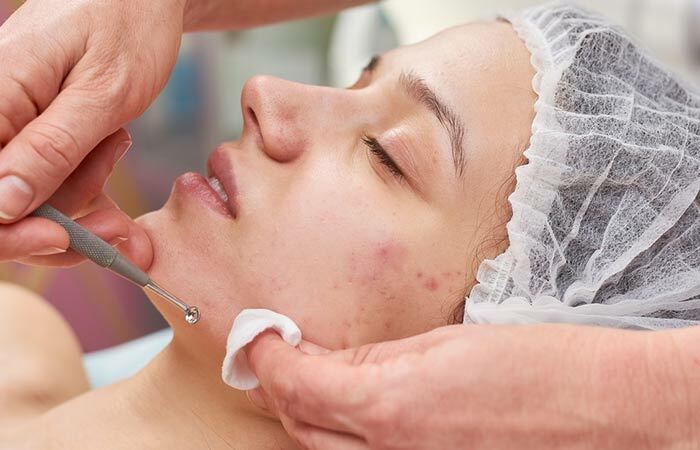 Extraction is a crucial part of the facial. A skilled person uses the extraction tool to extract all the whiteheads and blackheads without hurting your skin. This is not possible at home. Blackheads and whiteheads clog the pores and make your skin dull. So, if your skin looks a bit bumpy, it’s time to go for a facial. It’s impossible to avoid all the pollution and damage caused by the environmental free radicals. Your skin is bombarded with UV rays and other toxic substances on a daily basis. These accumulate on its surface and clog the pores. During a facial, the professional uses steam to open up the pores and remove all dead cells, thus preventing acne and other skin issues. Exfoliation is the process where the dead skin cells are gently sloughed off your skin’s surface. The cells die and tend to pile up on the surface (if not removed), making your skin rough and dry. 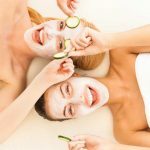 While you can exfoliate your skin using a scrub at home, if you want to remove the dead skin cells properly, going for a facial is the best option. It involves using chemical peels that thoroughly clean the skin surface, revealing a healthy layer of skin beneath. With age, your skin loses its elasticity as the production of collagen diminishes. During facial treatments, the professionals use chemical peels, face packs, masks, lotions, and creams that are enriched with botanical extracts that stimulate the production of collagen and reduce the signs of aging. The skin under your eyes needs special attention because it is way thinner than the skin on the rest of the face. And when you don’t treat it in the right manner, you get under eye bags, dark circles, and crow’s feet. The estheticians know how to treat the delicate under eye area. The eye creams used by them are specially prepared to treat the sensitive skin around your eyes and have anti-aging benefits. Many use cucumber slices during treatment for soothing your eyes. Cucumber contains vitamin K that rehydrates tired skin and eliminates dark circles and wrinkles. The esthetician prepares a mask that’s specially designed for your skin type. It hydrates the skin and refines the skin pores. It also contains ingredients that diminish hyperpigmentation and make your skin firm. This is another advantage of going for a facial regularly. It increases your skin’s ability to absorb other products effectively. You might be spending a lot of money on cosmetic products but find that they aren’t being absorbed by your skin. Why? Because your skin’s surface is so rough that they cannot permeate it properly. 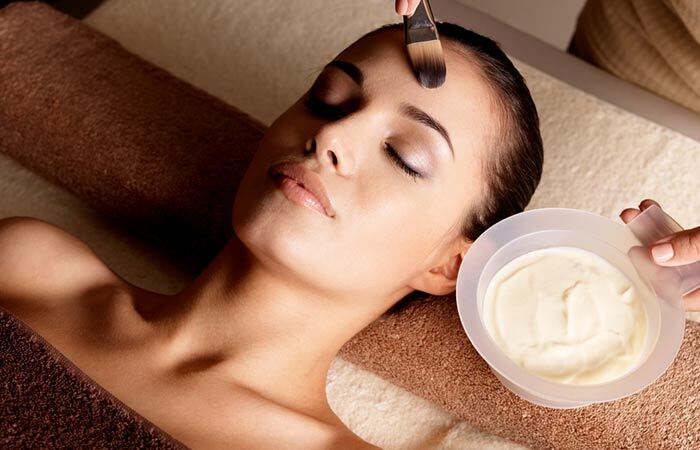 With regular facials, your skin becomes smooth and ready to absorb the products. Facials come along with expert opinions and advice. 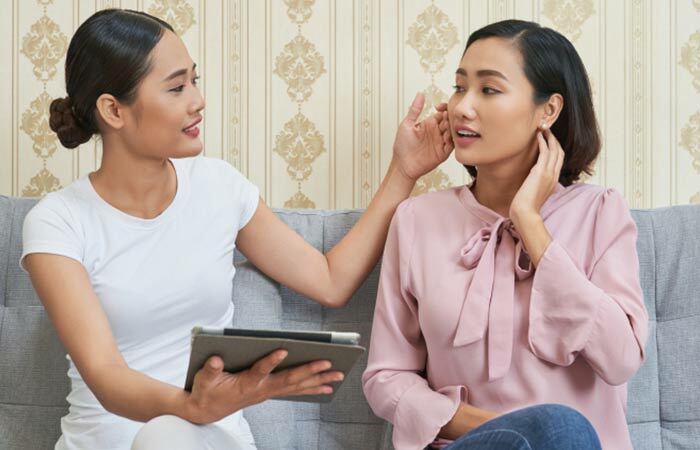 Before any facial treatment, the expert esthetician asks you about your skin type, issues you are facing, and what problems you want to address. They examine your skin and analyze the problem before offering a solution. They pick products and treatments that are beneficial for your skin. Worried about those dark patches on your skin? Those are nothing but melanin that gives your skin and hair their color. Aging, too much sun exposure, and hormonal changes may cause too much melanin production, resulting in dark spots. A facial evens out those dark spots, giving you a bright skin tone. So, as we have seen, facials have loads of benefits. Wondering how often you should get one done? It depends on a lot of factors. Let’s check them out. 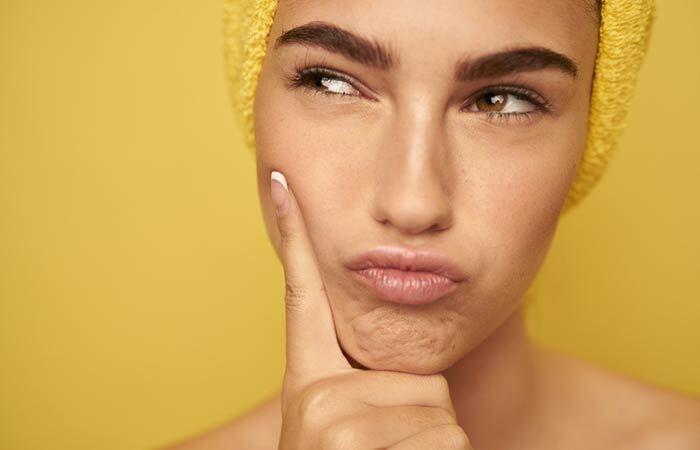 Your Skin Type: If you have oily skin that’s prone to acne and breakouts, you need a facial treatment once in every two weeks (until the issues have calmed down). And in case you have combination, dry, or normal skin, once every month is fine. Your Budget: Your budget affects your skin care routine. Many facial treatments will cost you a bomb. If you have a tight budget, try getting a facial done once every two months. It is always better to consult an esthetician regarding the frequency of your facial routines. But before you start, you need to consider a few things. Before starting any treatment, always do a patch test. This will help you understand whether the products that will be used suit your skin or not. If you have sensitive skin, you should be particularly careful about it. Go to a trusted esthetician or salon for a facial. They know your skin type and can suggest what exactly it needs. Even if you need a simple facial treatment to freshen up your face, avoid visiting just any random salon. Avoid going out in the sun just after getting a facial done. Use a sunblock cream, a hat, and an umbrella for at least a week after the facial. Avoid using soap on your face for at least a day or two after the facial. 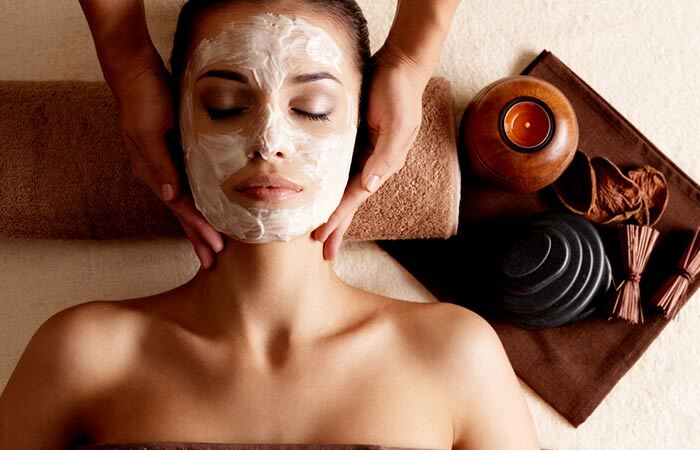 Facials are much more than just an hour of sheer bliss. They are a way of saying “I love you” to your skin. So, get a facial done and let us know about your experience in the box below.